The ISQA faculty has developed a series of concentrations to assist students as they work to complete the program. Concentrations consist of coordinating elective courses. Students may choose to take courses that make up a concentration, or not, as they see fit. Concentrations are not minors in the traditional sense, but rather reflect areas in demand in the community. If you have any questions regarding these concentrations, please get in touch with the ISQA Department. Students pursuing a concentration are to complete a 'Change of Academic Program' form, secure appropriate signatures and submit the form in person at the Registrar's office. This is an Area of Specialization in the College of Arts & Sciences (BA in International Studies) and an Area of Concentration in the College of IS&T (BS in Management Information Systems). This Area of Specialization/Concentration consists of 18 credit hours. The education and training of globally savvy professionals in science, engineering and information technology (IT) is important for the long-term viability of many American firms today. Future business leaders must: 1) appreciate the challenges and opportunities of IT management in the context of 21st century global organizations; 2) understand the international aspects of IT leadership and management as a basis for integrating a global and multi-cultural view; and 3) learn about the various roles, responsibilities, skills, and concepts essential to being a successful IT manager in the context of a dynamic technological environment, workforce diversity, global economy, and concern for ethics and social responsibility in the development & deployment of systems. 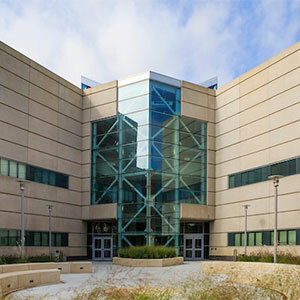 The College of Information Science and Technology (CIST) and UNO's International Studies and Programs (ISP) have joined to offer an interdisciplinary "Global IT Leadership & Management" (GITLM) specialization both in the International Studies (INST) undergraduate program and the CIST undergraduate program in Management Information Systems. The GITLM specialization will foster the integration of technology and internationalization through an interdisciplinary program offered through intercampus collaboration with UNO's sister-universities in Norway, India, Germany, Austria, China, and other partner institutions around the world. GITLM will bring a global perspective to the Information Technology (IT) curriculum and add a technology component to the international studies (INST) major. This concentration consists of 18 credit hours. The i-Business Application Development & Management Concentration will provide students with the technical, organizational, and managerial background to plan, develop, and manage Internet-based applications. The concentration includes courses that provide students with an understanding of the issues, concepts, and technologies involved in establishing and implementing a corporate strategy for electronic business. These courses address issues of organizational strategy, process reengineering, and supporting information systems architecture. Students will also learn and apply technical skills needed to develop Internet-based distributed applications. The Information Assurance concentration supplements and extends the Management Information Systems (MIS) curriculum by focusing on the foundational principles, worked examples, theory, and skills necessary to analyze, design, and construct secure information systems. These courses address the fundamental technologies, policy, assurance, and ethics involved in the protection of information systems. Hands-on experience is gained through numerous laboratory exercises associated with each course. The concentration is designed to accommodate students with either a CS or MIS background. Note: The 18 credit hour Information Assurance concentration can be taken through Computer Science or Management Information Systems. The Internet Technologies (iT) concentration supplements the Management Information Systems (MIS) by focusing on the expertise needed to implement solutions that involve contemporary Internet technologies and software applications. The concentration is designed to accommodate the differing backgrounds of MIS and CS majors. The requirements of either the MIS or CS majors provide the background necessary to pursue the iT concentration. The concentration makes extensive use of existing MIS and CS courses, building on what has been accomplished in these programs. The iT concentration provides extensive hands-on, project-based experience for the students. Note: The 18 credit hour iT concentration can be taken through Computer Science or Management Information Systems. This list of electives is not exhaustive. Students can take other courses as electives in consultation with their undergraduate advisor.